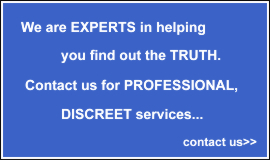 At Matrimonial Investigations in Derby we specialise in uncovering the truth about your suspicions.With over 25 years experience we are the company to help you. Let us help you take the pain away and stop the sleepless nights.Don't delay speak to Matrimonial Investigations Derby now. 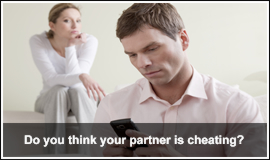 Using state of the art technology we can quickly,efficiently and discreetly investigate your partner or spouse. By calling Derby Matrimonial Investigations you can get the control back in your life today.Put your mind at rest.Our dedicated staff will find out whether your loved one's cheating or not.